I – In Which Case Should We Use This Process? With Qnap 4.1 Firmware, I realize that Qnap backup configration files (not data) once in every week, and good part is you can restore any configration, or complete configration easly with a few steps! When should we use this? Must warn that this process will not recover accidently deleted files, but can fix RAID problems or accidently lost folder permissions configration easly. MY ADVİCE İS DONT DO THİS ALONE IF YOUR NOT SURE WHAT YOUR DOİNG. THİS MAY CAUSE QNAP UNEXPECTED CORRUPTİON, AND PLEASE CONTACT WİTH OFFİCAL QNAP SUPPORT TEAM IF YOU GET THİS KİND OF PROBLEMS! 2 – Go to share -> “MD0_DATA” or “CACHEDEV1_DATA” and find . @backup_config folder. 3 – You’ll see that Qnap get backup configration once in a week. 0_20141203 means this is the last backedup config file which is created on 3 October 2014. 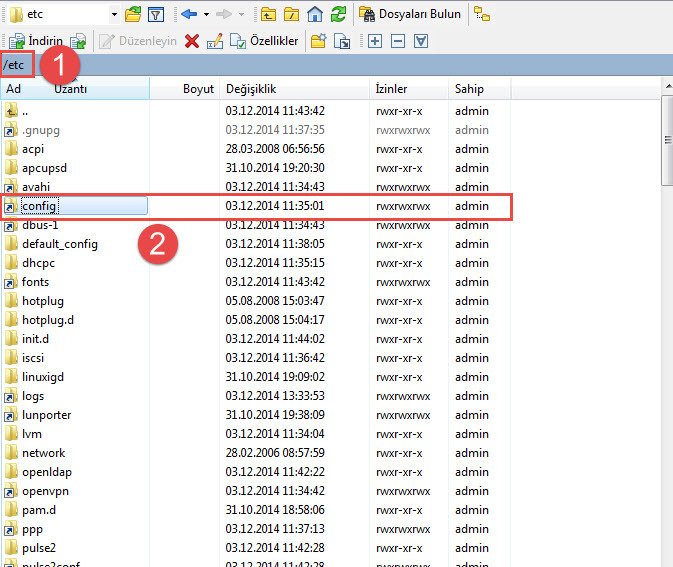 5 – Now go to original configration folder, which places under “etc/config/”. double click on this folder.